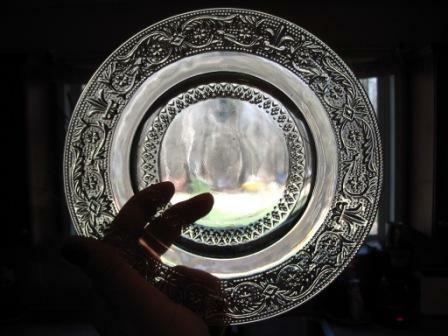 What is Your Legacy-Do You Pre-Plan Funerals? PRE-PLANNING MY FUNERAL-Is it my responsibility? Sitting down with loved ones to plan your funeral may not be high on the priority list, but it is something that should be discussed in order to ensure a ceremony or service that reflects your legacy and provides for your wishes. Otherwise, the “to-do list” could be overwhelming for bereaved family members. The choice of having a traditional funeral, being buried in a green casket, having ashes dispersed in the ocean, or the decision to donate your body to science are based on an individual’s personal beliefs, religion, and passions. A retired schoolteacher preplanned her service to include ceremony music, how her body would be returned to the earth, and who was to be invited to the church. 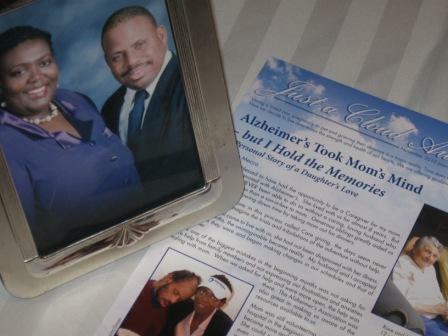 While diagnosed with pancreatic cancer, she composed a beautiful letter to be imprinted on the back of the funeral program. She expressed the gratitude and love she had for all the guests, the happiness in her life, and how she enjoyed living life to its fullest. She did it all. In a sense, purchasing life insurance is pre-planning. It is a guarantee that upon one’s death, a lump sum of money will be available to cover funeral costs and other expenses. Hypothetically, if a 40-year-old bought a $100,000 Whole Life insurance policy and passed at the age of 60, the total cash value would equal $34,400 with a death benefit of $113,600 based on dividends earned – all from a total out-of-pocket investment of $31,400. This money could cover various costs associated with a funeral or memorial service along with the survivors’ unpaid expenses. Benevolent Funds are collections taken up by churches and are often included within fiscal budgets. These collections provide funds to assist with funeral costs of members who were not successful in purchasing life insurance prior to death. If families are in an impoverished financial state or someone is diagnosed with a terminal illness, a small, modified life insurance policy is an alternative. Some churches may find benevolent funds too much of a burden on budgets; their monies could be used to support those in need who are still living. Know your options and plan ahead. Do it as an act of love for those you will leave behind. This article was written in collaboration with the Family Life Transition Team, assisting families with life changing events such as; the death of a loved one, infant or pregnancy, divorce/separation, disabling event or illness, passing of a pet, physical catastrophes, adoption, or job loss. For more information contact Melody Anderson of Chadwick Insurance Group, LLC, 336. 707.9308. Family Life Transition Team can come to you. North Carolina is ranked among the highest in the nation regarding obesity, according to the National Conference of State Legislatures. In general, states in the West and New England rank lowest in the fattest states rankings, while states in the South and the Rust Belt tend to rank highest. 57% of North Carolina adults are overweight or obese. Could we, as North Carolinians change those statistics? 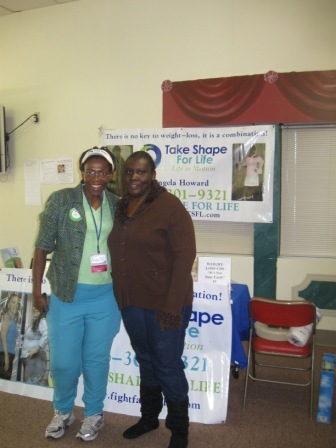 Angela Howard-Health Coach with Take Shape for Life addresses issues on an individual basis. Her motto, “There is no 1 solution to weight loss, it is a combination.” Angela has personally lost 212 pounds and works with clients who desire loosing 2-5 pounds per week, taking the healthy route. Below is a picture of Angela and her husband, both at least 200 pounds over-weight. 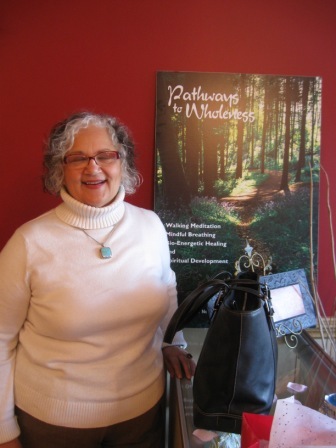 An unfortunate reality was the diagnosis of early onset of Alzheimer’s Disease, motivating her decision to change her life. What foods to select, how to prepare, are supplements needed, exercise implementation or other activities to improve quality of life are all examined. It is a known fact, people trying to lose weight with the help of a coach or another trained health professional, do so faster and also keep the weight off. They act as your support system while you walk the journey to a healthier lifestyle. Angela can be reached for questions at, 336.301.9321. Fight the Fat! If you have been declined for health insurance, or feel you may not be accepted, there are other alternatives, call Melody Anderson of Chadwick Insurance Group, LLC for assistance. There is no charge for consultations. 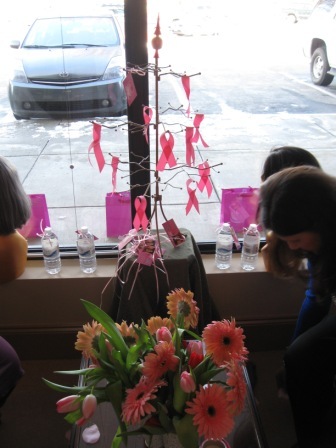 A new resource for women suffering from medical conditions such as, chemotherapy treatments, alopecia, lupus, thyroid problems, breast cancer, stress had their grand opening to the public January 14, 2011. Undetectable wigs are even suitable for hair loss from genetics and certain medications such as Wellbutrin, with the complete list from WebMD found here. Gastric bypass surgery can also be a factor in the loss of hair, but with a healthy diet, can be minimized. Health coaches are also very beneficial to keep you on track. 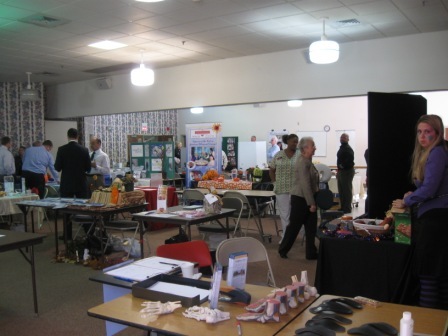 The opening was sponsored by Just a Cloud Away, Inc. ™Journal and many other resources were present offering their support, products and services. 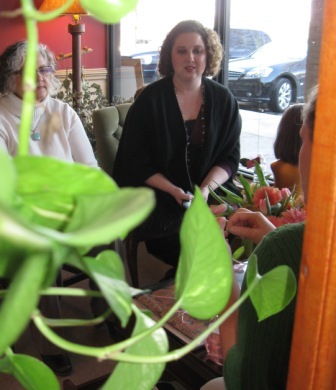 Much of the conversation took place in the Serenity Garden designed by DianaDigsDirt. Melody Anderson of Chadwick Insurance Group-offers the health insurance to meet your needs and your budget. Pamela Thomas of NY Life- investing in life insurance is well spent dollars, five investment options to avoid recommends Dave Ramsey. Christiana Dyson of Mary Kay Cosmetics (host a party and %10 is dedicated to Breast Cancer Research). 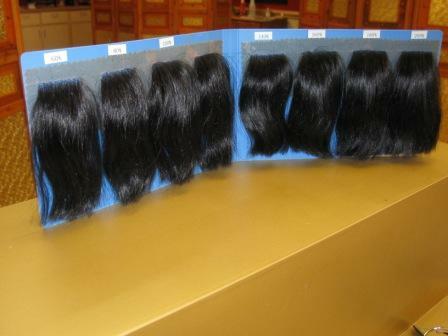 Chanel Lace Hair Gallery will provide space at shop if needed. 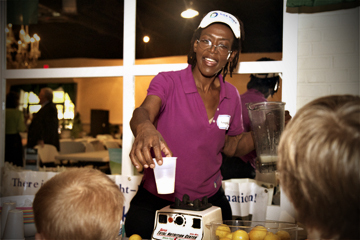 Angela Howard, Health Coach of Take Shape for Life offers guidance for women regarding a healthy diet and increased quality of living. 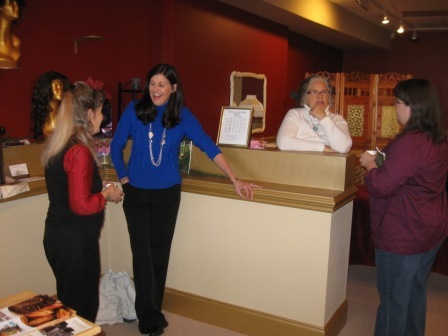 Local author, Janet Nestor signed books during the opening. 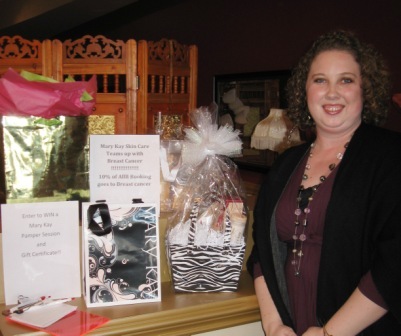 Katie, owner of The Clean G, offering cleaning products, air deodorizers and room spritzers, non-toxic, safe and organic. 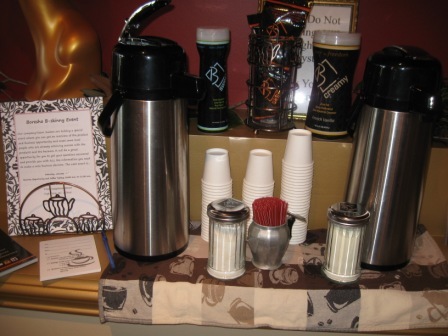 B-Skinney Coffee gave out samples of a low-glycemic delicious cup of joe. 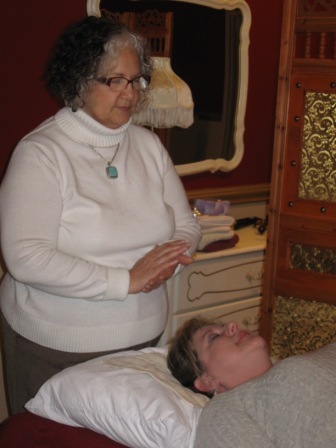 Janet Nestor treated us to complementary energy work sessions and they were greatly appreciated. 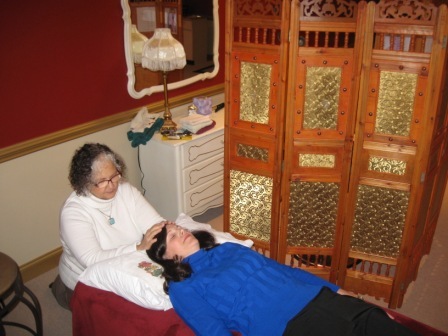 Janet has a gift of connecting with deceased family members through her energy work, more info here. 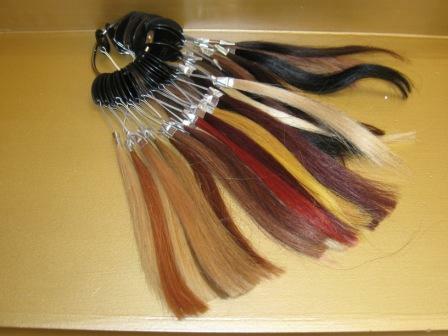 Thank all of you for your time and especially Sharon Ellis-Wiley of Chanel Lace Hair Gallery. Stop in to say hello. “What is the difference between a Medicare Medigap policy and a Medicare Advantage policy”? from Sarah in Greensboro. There are several differences, but the biggest difference is a Medigap or Supplement policy is insurance purchased from an Insurance Company to offset the costs that Original Medicare A & B do not cover. There are several different policies available in NC, and the only difference in the policies from company to company is how the insurance company prices the plans. When choosing a Medigap policy, then you would also need to purchase a Medicare Part D plan from an Insurance company. A Medicare Advantage plan is considered a Medicare Part C plan. They are offered through several insurance companies and usually consist of Parts A, B & D. They either have a small cost or no cost. These plans will be used in lieu of original Medicare. Just a Cloud Away, Inc. ™Journal thanks you for this helpful summary Melody. 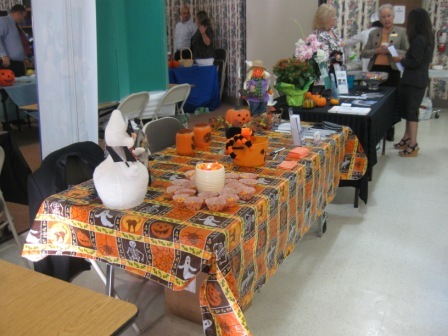 November 13th was Countryside Village Retirement Community’s Senior Health Fair, in Stokesdale, NC. There were many local resources providing residents with everything they could possibly need. 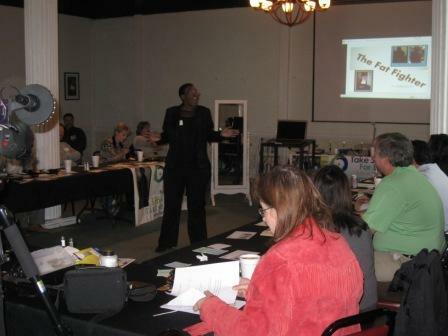 Melody Anderson of Chadwick Insurance Group was providing education regarding Health Reform and Medicare. Melody is your connection to all of your health care needs, without having to be channeled through recordings. 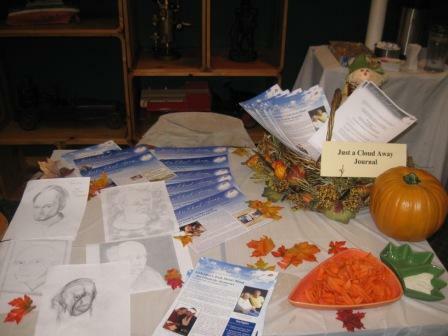 Just a Cloud Away, Inc.™ Journal provided free copies of the November issue regarding Alzheimer’s Disease. Diana explained to the seniors the journal was intended to be the voice of the community. 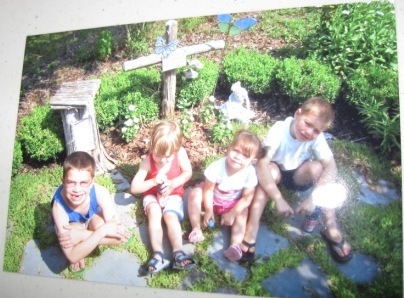 One may set up an interview regarding their personal journey of hope and healing after the loss of a loved one. It is only by education will the community be aware of how to comfort one another. 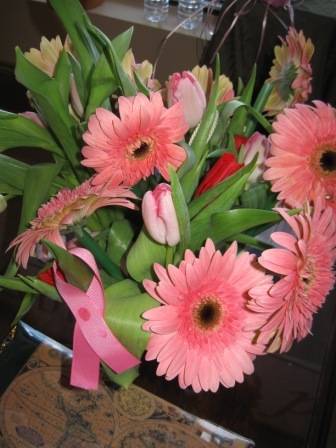 There is more to giving support than sending flowers, food or a card. You are cordially invited to hear a brief talk regarding Alzheimer’s Disease and Art Therapy, click here. Just a Cloud Away, Inc.™ Journal is looking forward to visiting Countryside again with craft projects for their residents. 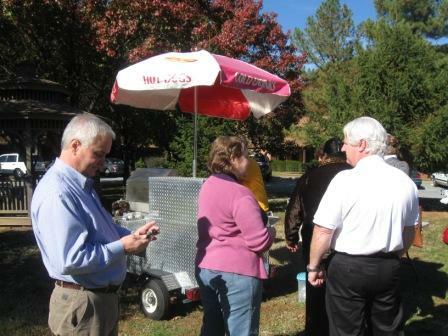 Jos with Home to Home in Guilford was in line for a delicious Hot Dog provided by Customized Dogs and Catering. Home to Home in Guilford is a wonderful service for those needing to downsize, move, liquidate estates or to make simple changes within the home for a more senior friendly environment. Sara from Amedisys Hospice Services was also there answering questions regarding Life Limiting Illness, where no one is denied. 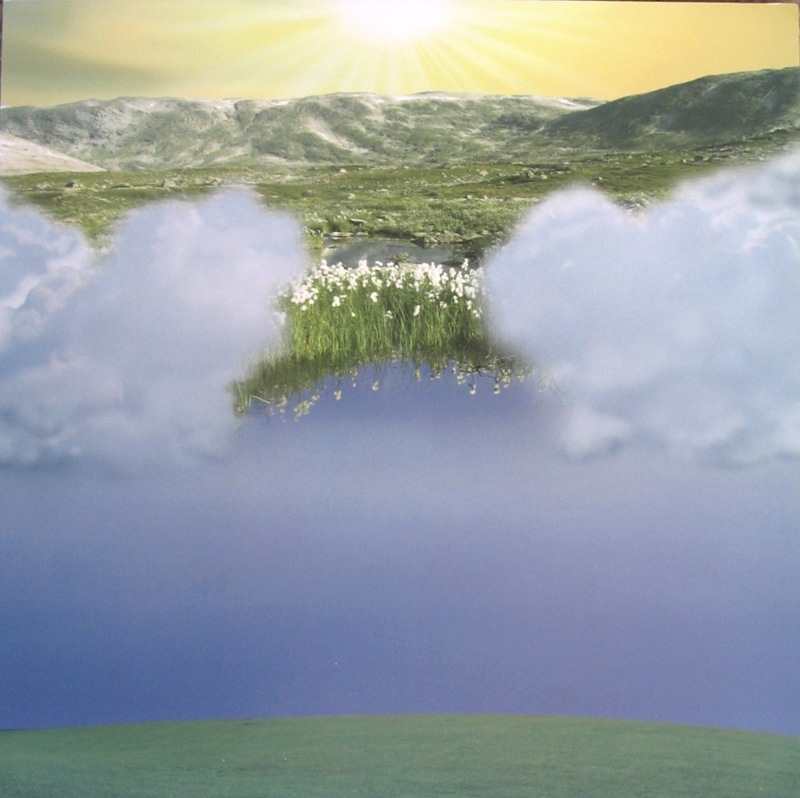 Just a Cloud Away, Inc.™ Journal-Contact Diana@justacloudaway.com for Exclusive Advertising Opportunities. The editorial calendar is based upon monthly awareness causes. 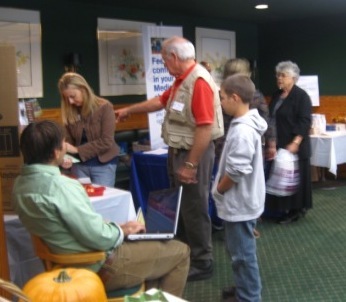 The Senior Health Fair at the Roy B Culler Senior Center in High Point last week, provided many local resources offering products and services to the elderly population. 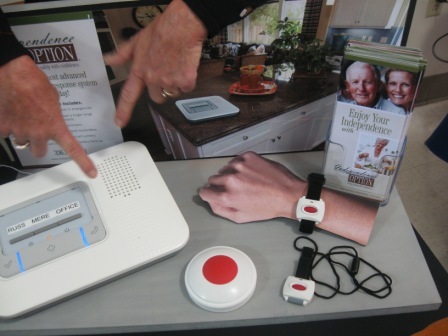 In-home non medical care companies are in great demand because of the baby boomer population. 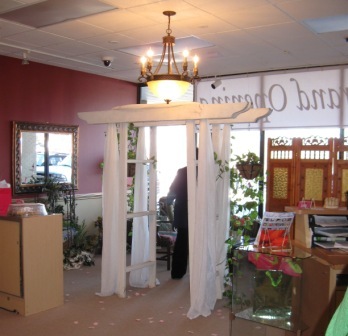 Options for Senior America was one company who stood out from the rest by providing live in care, if desired of the client. Peace of mind, reliability and flexibility are very important to the community relations director, Evelyn Yalung. 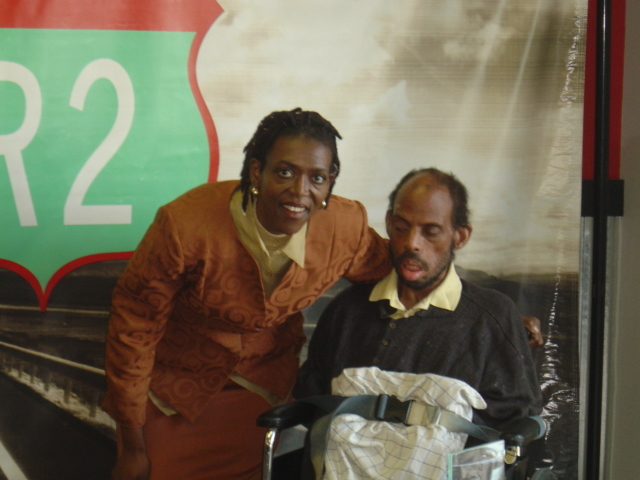 Options for Senior America has assisted Angela Howard in caring for her husband with Alzheimer’s. 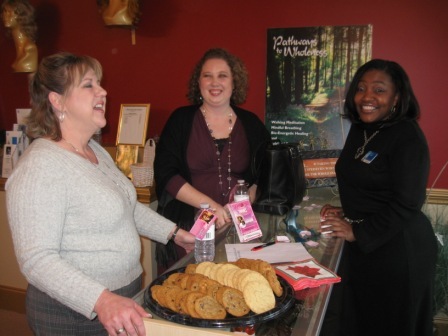 Angela’s company Take Shape for Life was also in attendance because of the increased number of individuals with obesity, leading to several preventable medical conditions. Angela herself has lost 210 pounds on the program and is offering to cook a free meal in your home for the month of November. Contact Angela today at [thefatfighter@gmail.com]. Melody Anderson of Chadwick Insurance Group was providing seniors with answers to their Medicare Reform Questions. If you have questions, please contact Melody at melodyanderson62@gmail.com. 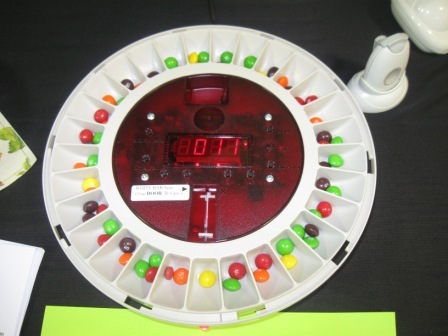 Unique products like the automatic pill dispenser with lock and auditory direction forseniors, notifying them it is time to take their pills. This product and many more were offered by Independence Option. Several Senior Living Facilities were also present with impressive facilities, some even allow pets. 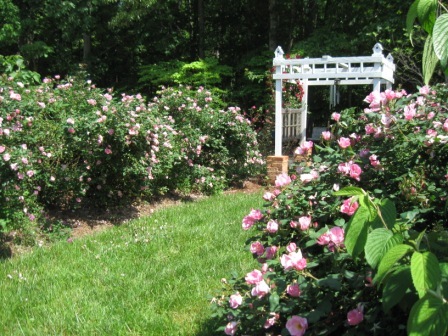 Brookdale Senoir Living, MORNINGVIEW of GREENSBORO, Loyalton of Greensboro and Holiday Retirement including Creekside Terrace and The Stratford. 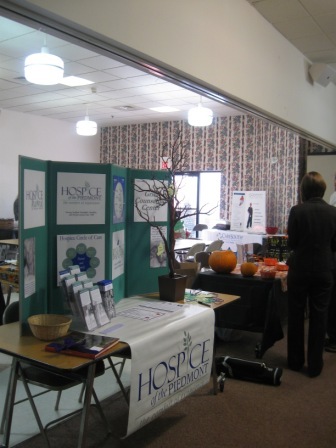 Hospice of the Piedmont offered many services. 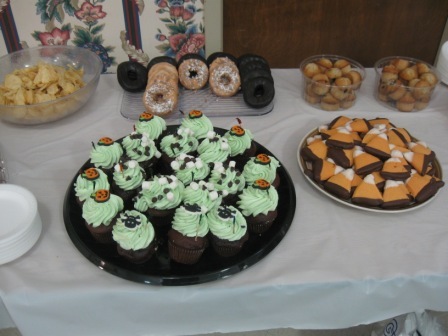 Not everything offered was healthy, but sure was delicious. Just a Cloud Away Inc. Journal was also present passing out the latest issue, regarding Alzheimer’s Disease. 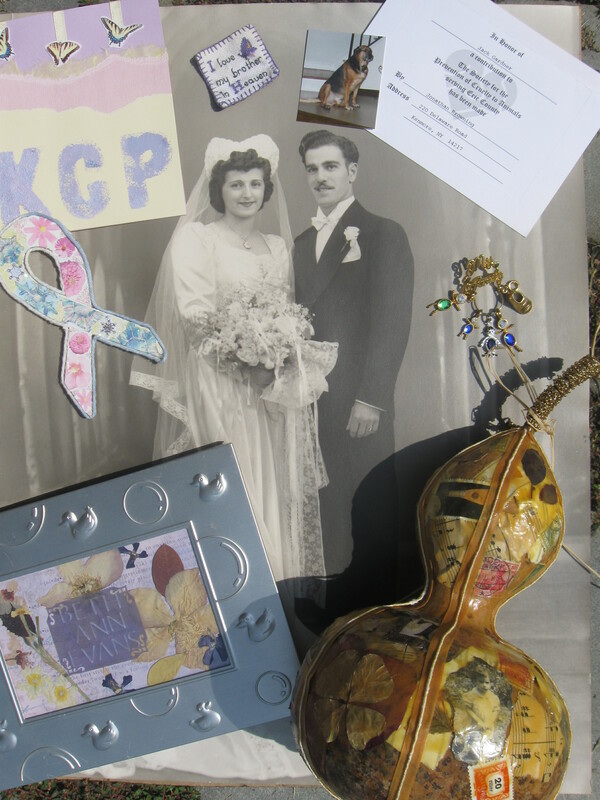 Workshop for Families-Creating Love Memorials™ in Greensboro, N.C.
Are pictures sitting in a box with journals, recipes, or other handwritten memorabilia of loved ones passed? Bring your keepsakes to create beautiful works of art with your own hands, where no experience is necessary and all supplies are complementary. Just a Cloud Away, Inc. ™ Journal and other local organizations are sponsoring the first Creating Love Memorials™ Workshop for families. 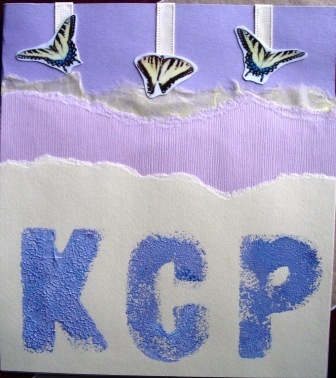 Feel free to bring any 2 dimensional papers, fabric or tags to incorporate, whether from a loved one or beloved pet. 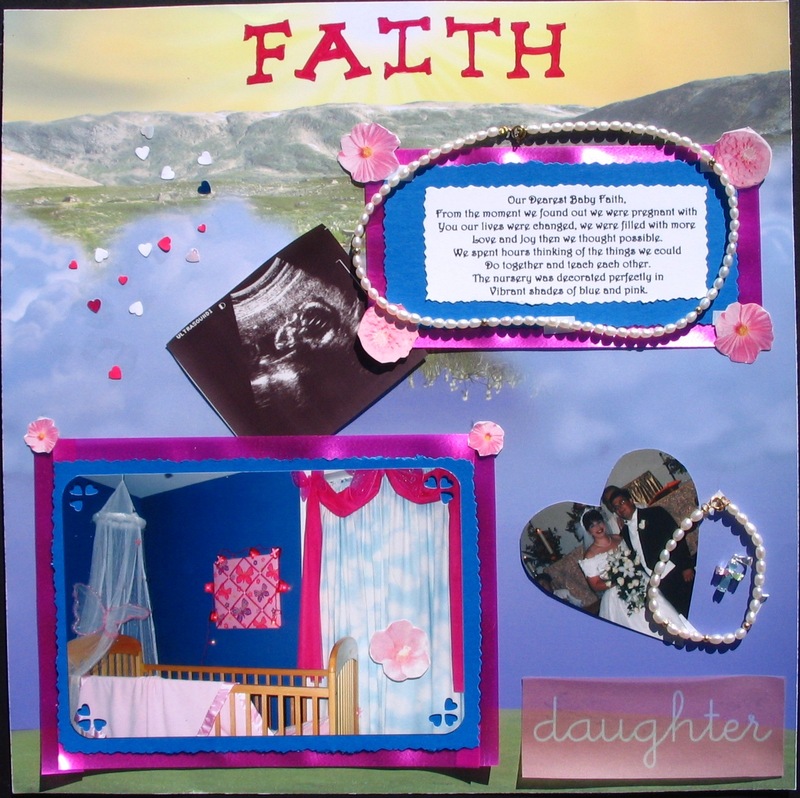 Professionals will be on site in the craft area to assist children in creating paper keepsakes. 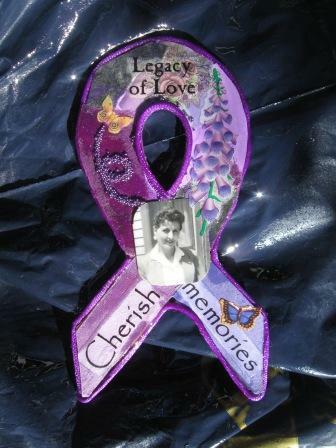 Adults will have the opportunity to design an awareness ribbon for the cause of their choice. 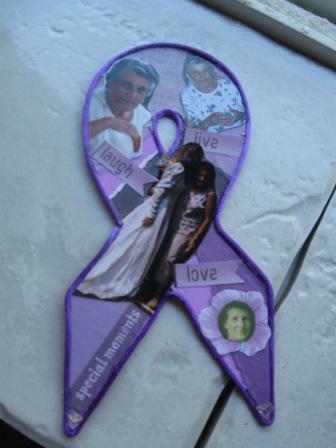 Below is a ribbon for a Grandmother with Alzheimer’s Disease. 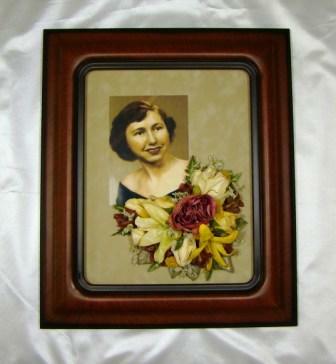 A Love Memorial™ is a keepsake or sympathy gift, going beyond the typical cards, flowers or food. 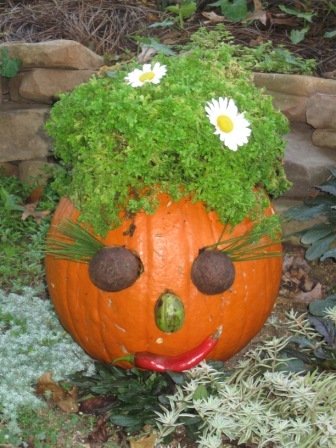 It is a thoughtful creation showing compassion for each specific situation. 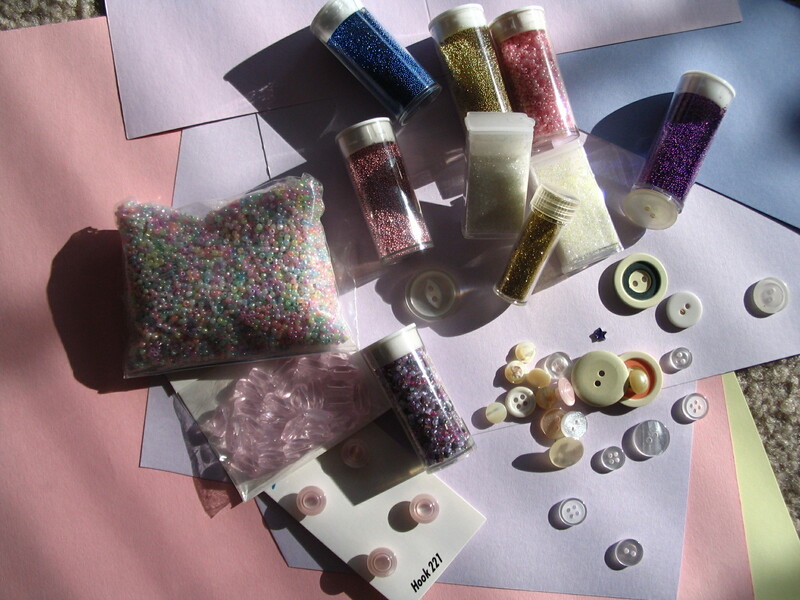 Many samples will be provided, including; pressed flowers, metal, jewelry, scrapbooking, woodwork, decoupage, gardens, stone, glass, photography and photo montages. Community resources will provide literature on babysitting classes, support forums, alternative funeral options and more. 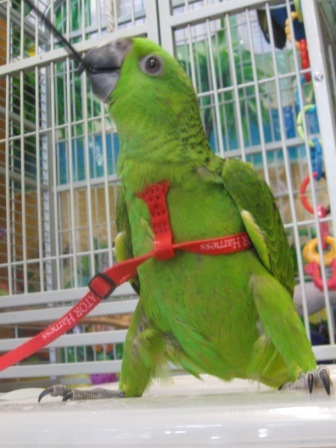 Also joining us are local animal rescue groups with adoptable pets. Our fire and police departments will share safety tips. After school food and beverages will be served. Energy work sessions will be offered, and music performed by Jennifer Cockman during the workshop. 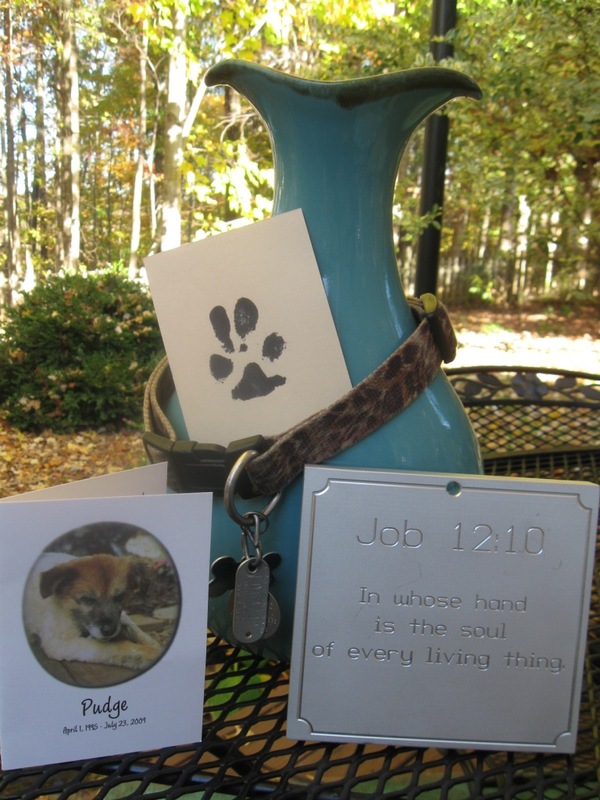 Bring and share your own memorial keepsakes. These may be an inspiration to someone else. It is never too late to remember……………..